The distinction between “online” and “offline,” between “digital” and “physical,” once seemingly unambiguous, has begun to blur thanks to the ubiquity of smartphones and personal location data, ad and experience targeting, connected devices, wearable technology, the Internet of Things, and additive capabilities like 3-D printing. The biggest business opportunities for innovative experiences, according to digital marketing expert and "tech humanist" Kate O'Neill, will come from blending the physical and digital worlds intentionally to create a meaningful and integrated human experience. And to do that, we must recognize that human motivations connect these worlds through a transactional data layer, and create experiences with respect for the humanity represented by that data. 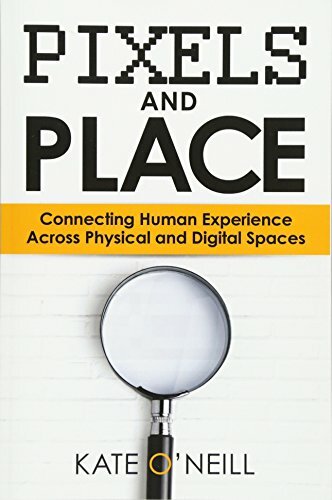 In looking at the opportunities presented by the convergence of physical and digital, O’Neill also examines the underlying meaning of place, as well as the abundant metaphors of place already in use in digital experience, and how we can shape our audiences' experiences more meaningfully in alignment with our own business objectives. Executives, strategists, marketers, city planners, and anyone who creates experiences for humans will take away valuable insights from this book.